Enjoy an evening with the Don Campbell Trio, featuring craft beer from Mason Brewery and Left Hand Brewery. 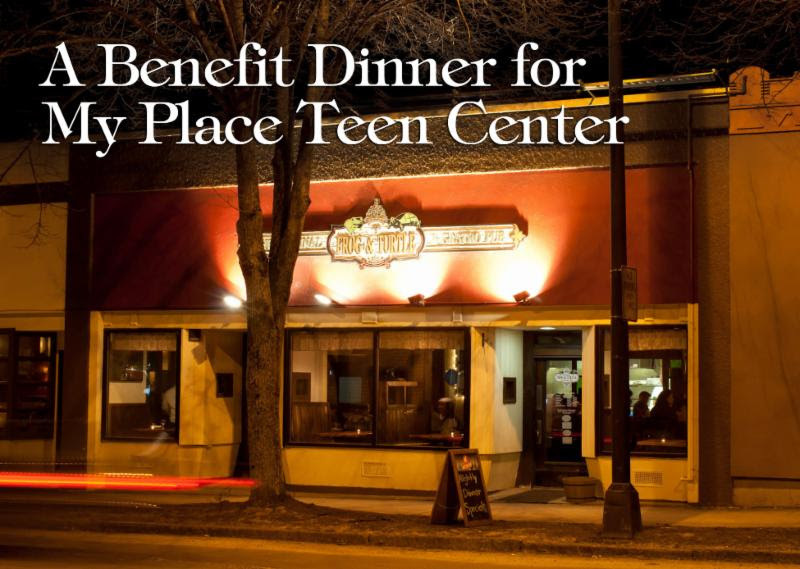 There are many ways My Place Teen Center works to raise funds and awareness for our programming throughout the year, but there are none as DELICIOUS as the My Place Dinner, hosted by Chef James Tranchemontagne at the Frog & Turtle on April 19, from 5:30 – 10 p.m. This year, Chef Todd Roberge and Chef James have brought in two of their favorite breweries, Mason’s Brewery from Brewer, Maine, and Left Hand Brewing Company from Longmont, Colorado. The Chefs are fine-tuning the menu for eight courses of fine food perfectly paired with the craft brews – and even had a beer brewed exclusively for the event. To round out the evening, Maine’s master of music, Don Campbell and his trio, will entertain our guests as they dine. Don has done concerts for the Teen Center in the past, and this time comes to the pub for a personal, yummy, fun night for all. This unique night of food and entertainment is available for $100 a person paid the night of the event with $50 going directly to the Teen Center to aid with summer program funding. Only 20 seats remain. For reservations, please contact Meghan by email or call 207-591-4185. This is a 21+ event, gratuity is not included and we ask that no substitutions be made.